With the negative things that young girls are exposed to today – it is very important for us to reflect back on some of the incredible historical contributions that the women of South Africa have made. Girls and women still don’t feel safe and still don’t live free of physical abuse and violence. In addition, many women have contributed to the development and history of South Africa but many people don’t know this as few women are acknowledged for their contributions. This is especially true when we are teaching our youth about our own country’s true history. It was Chimamanda Mgozi Adichie who spoke of the “danger of the single story”. She said – “The single story creates stereotypes and the problem with stereotypes is not that they are untrue but that they are incomplete. They make one story become the only story.” So telling our own nuanced, complete and authentic stories is vital! This is a message from the Department of Defence communicated through an important legacy project called the “Castle of Good Hope 350th Commemoration.” The big goal of this project is to inspire and teach the youth about their history and to create a lasting and sustainable way forward for our youth as well as to provide them with the opportunity to interact with their own history. The project is part of a move to ensure that young South Africans study the true history of South Africa as well as to become a part of the efforts that are needed to heal and reconcile the nation. A timeline that shows the different events that took place in South Africa through the years has been developed. This has been painted on the walls of different schools in the country. The aim is for this project to be included as part of the history curriculum at schools for kids to learn about. In a time where we reflect on women’s issues – especially considering the youth, their future as well as their legacy – a role model such as Krotoa who lived 374 years ago is key in highlighting that today’s girls and women are faced with similar abuses and that men and boys also need to seriously reflect on their attitudes. In addition, understanding her story is a move in the right direction in embracing our own SA history. Krotoa – better known to the Dutch as Eva – made a significant contribution to the history of the Castle of Good Hope situated in Cape Town. It has taken a long time for people to acknowledge Krotoa which is why many South Africans still don’t know who she is. Krotoa was around the age of 11 when she was taken in to work in the household of Jan van Riebeeck’s – the first governor of the Cape Colony. She worked as a nanny and playmate for his children and as a servant for his household. It is not clear how she came to leave her Goringhaicona tribe to go work in Jan van Riebeeck’s home but some people say that she was forcefully kidnapped by the Dutch. Today, a lot of girls are kidnapped and are trafficked for the purpose of sexual exploitation, criminal activities and domestic labour. The youth – specifically young women can look to Krotoa as a historical reflection of how women in the past and today are in fact entwined and relatable to one another as many women still undergo abuse, gender oppression and discrimination on a daily basis – not knowing how to deal with it. This is an example of how true history and its lessons can and should guide our current and future actions. Understanding South African history and interweaving this understanding with modern social issues is highly relevant for today’s youth. 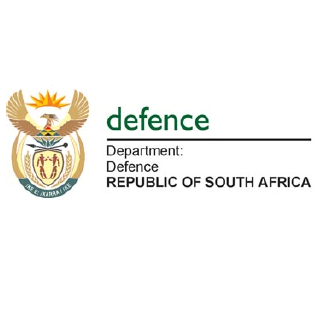 The Department of Defence and the Castle of Good Hope have a number of upcoming events lined up for school children which will help in informing the youth about their true history. Watch this space!